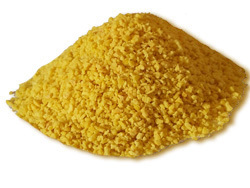 Coloured breadcrumbs are produced from premium-grade wheat flour with natural food dyes. As a result, when roasted, your products would be covered with crispy crumb and would have a wonderful golden brown colour. You may customise your order to get breadcrumbs with the colour required for your production. We are pleased to offer our customers a very convenient option – choose a fraction you like ranging between 0.5 and 4 mm. 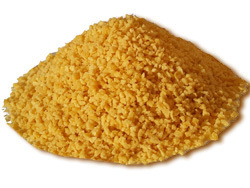 We would like to offer our Rich Yellow Breadcrumbs (Code 2). With their rich colour, your product would have a sunny tasty-looking crisp. When roasted, a product becomes crispy but remains juicy. 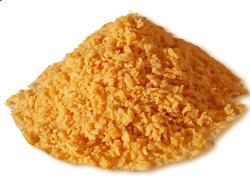 Orange Breadcrumbs (Code 10) are one of our most popular products. It features the excellent bright colour and medium grain structure. When roasted in Orange Breadcrumbs, a product becomes tastier, preserves its natural juiciness and is very tasty-looking. 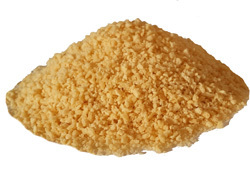 Honey Breadcrumbs (Code 4251) are an ideal supplement to make a ‘golden’ crisp on meat and fish ready-to-cook products. When roasted, a product immediately gets crispy crust which keeps your culinary masterpiece juicy and prevents it from burning on a very hot surface. We are glad to offer breadcrumbs with excellent natural, light beige colour and a medium grain structure to preserve unique juiciness and flavour of your ready-to-cook products. Use our Light Creamy Breadcrumbs (Code 21) to offer exceptionally delicious tasty-looking products. 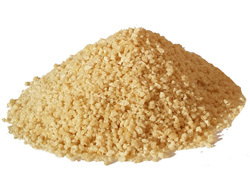 Light Pink Breadcrumbs (Code 4) are one of our most popular products. It has light orange colour and is ideal for ready-to-cook fish, pork, chicken or vegetable products. 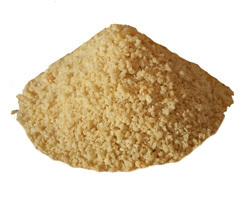 We would like to offer breadcrumbs with excellent creamy colour and a medium grain structure. Creamy Breadcrumbs (Code 20) would be an ideal component to produce tasty and crispy ready-to-cook products. When roasted with these breadcrumbs, your meat or fish product would get a very yummy golden crisp. 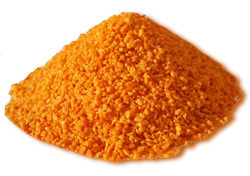 Bright Orange Breadcrumbs (Code 6.1) have a fine grain structure and rich bright orange colour. 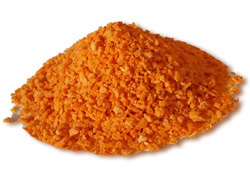 Bright Orange Breadcrumbs would be an ideal component for meat and fish ready-to-cook products. When breadcrumb roasted, the product gets tender, crispy crust which keeps your product juicy and makes it very delicious. Classic Breadcrumbs (Code 9) are one of our best-selling products. 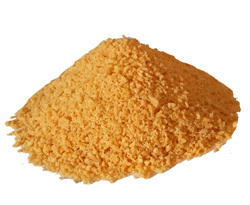 Classic Breadcrumbs have pleasant natural breadcrumb colour and produce crispy crust. With these breadcrumbs, you will get an ideal product – juicy and tasty-looking one! Taste our Original Breadcrumbs (Code 5), our best seller. It has bright and tasty-looking colour and is suitable for different types of products. Your specialties would be much more delicious when they kept their natural juiciness. 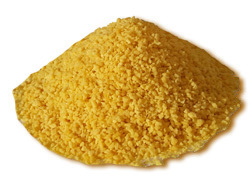 Lemon Breadcrumbs (Code 19) would be an ideal component to produce golden, crispy ready-to-cook meat and fish products. With their natural lemon colour and medium grain structure, these breadcrumbs can preserve the best flavours of your product and will be very tasty-looking. 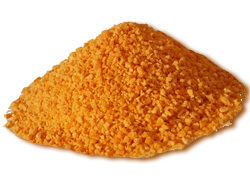 Taste our Bright Orange Breadcrumbs (Code 7). These breadcrumbs have an excellent bright orange colour and rough grain structure to become an ideal component for crispy ready-to-cook meat products. When roasted in these breadcrumbs, meat would remain delicious and juicy under a yummy crispy crust and would never be burnt on a very hot surface.